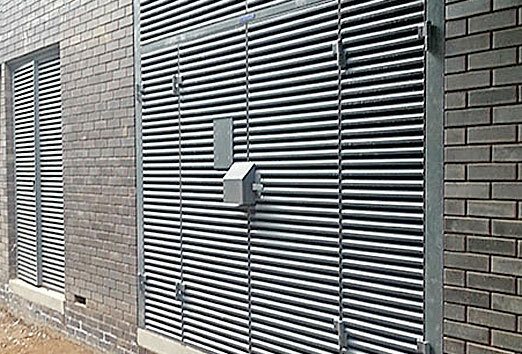 Ventilated steel industrial doorsets available as single, double and bi-fold leaf doorsets with overpanels and side panels options. 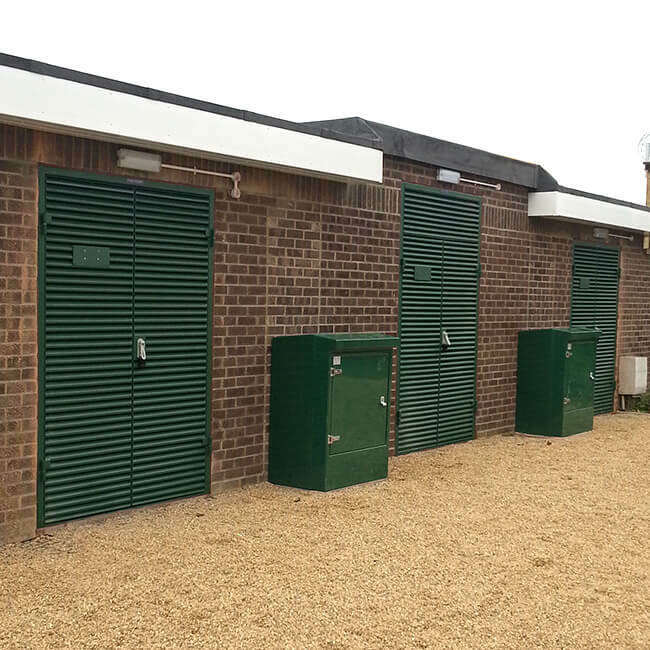 Ideal for transformer, plant/generator rooms, refuse stores. Powder coated as an option. Anti-vermin mesh or black on rear. 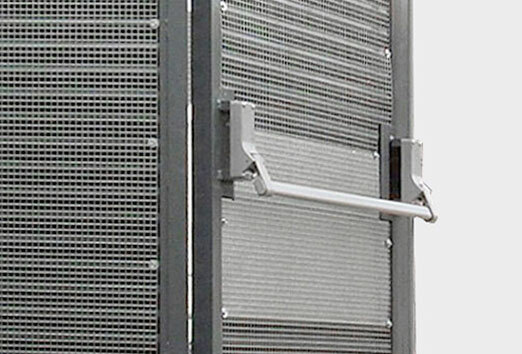 Maintenance free lift off hinge system. A wide range of robust locking devices available. 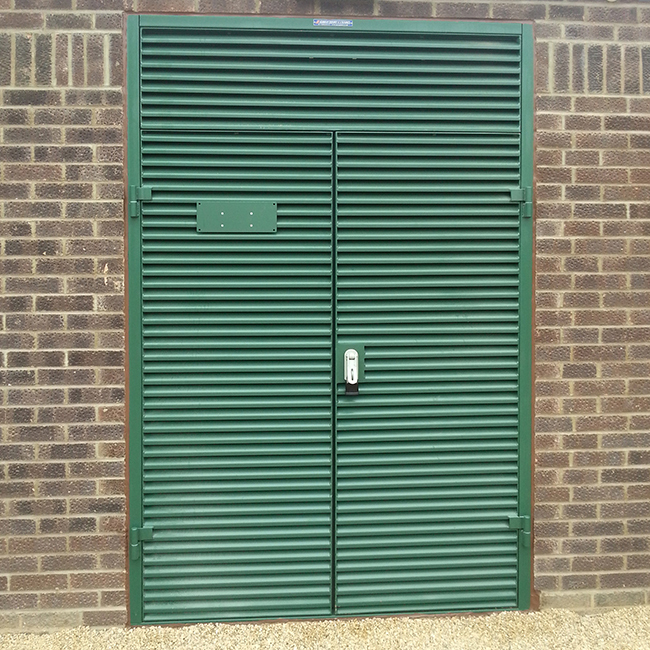 Louvre Doorsets can be manufactured as single, leaf-and-a-half, double or multi-leaf with side panels and/or over panels. 100 x 50 x 3mm rectangular hollow section to head and jambs with 100 x 10mm flat threshold and lugs for M10 sleeve anchors (supplied). 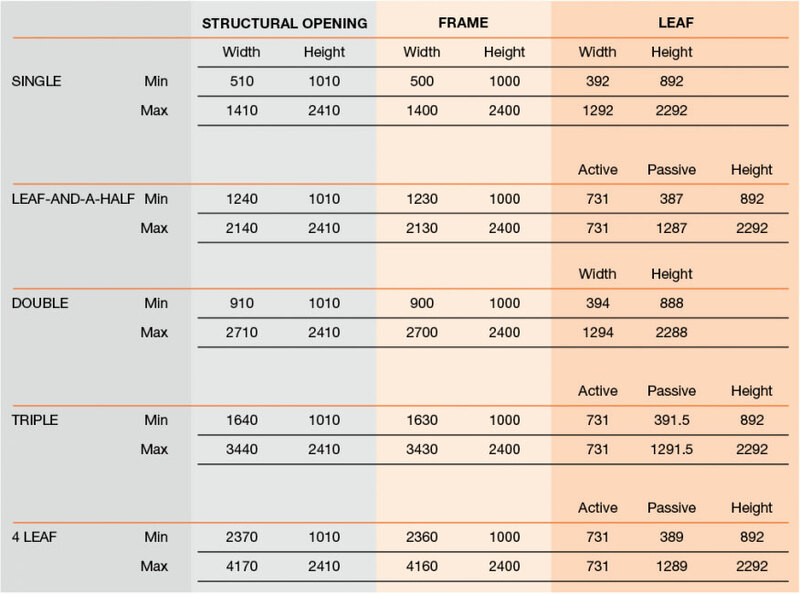 Alternative frame profiles available (see drawings opposite). Hinge parts welded to frame and door leaf. Louvre blades welded into a 50mm x 40mm x 5mm steel angle section framing. Louvre blades formed to profile shown at bottom of page. Standard blade thickness is 2.5mm. Zinc phosphate primer as standard or there is the option of a wide selection of powder coated colours from our own factory powder coating facility. Blanking to rear in lieu of anti-vermin mesh. Internal multi-point panic bar with Sunray 6000 with hasp & staple to the outside. 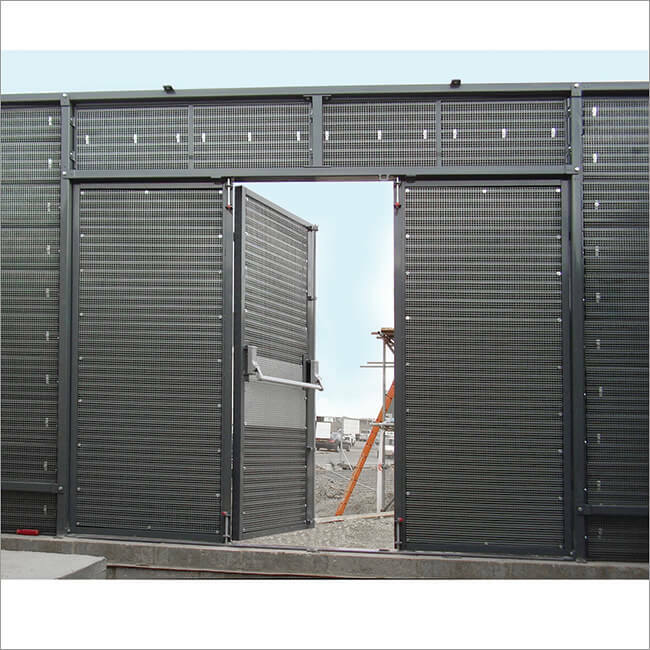 Bi-fold doorset with louvred overpanel. Rear of bi-fold doorset showing panic bar system with blanking panel and anti-vermin mesh. 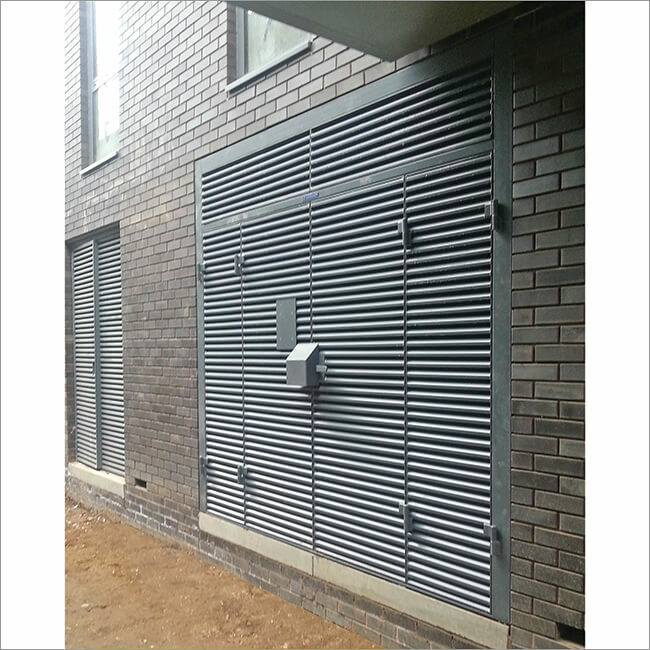 Installation of three double Louvred doorsets. We have a range of Standard Ral & BS4800 colours available, along with powder coating services for you to choose from. Complete this short form to request one of our brochures. Complete this short form to request a call back.